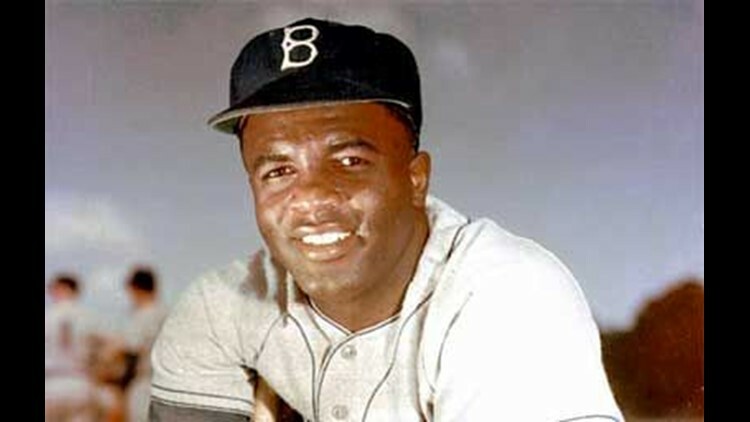 MINNEAPOLIS (AP) — Jackie Robinson Day is under way around Major League Baseball. The Boston Red Sox and Minnesota Twins had the first game of the day, and each player at Target Field on Thursday wore a No. 42 jersey in Robinson's honor. This is the 63rd anniversary of Robinson's breaking of baseball's color barrier. This day's primary celebration is in New York at Yankee Stadium. Robinson's widow, Rachel Robinson, and his daughter, Sharon Robinson, will be in attendance. Grandson Jesse Simms will throw out the ceremonial first pitch. Robinson played his first major league game at Ebbets Field for the Brooklyn Dodgers on April 15, 1947. He died in 1972.